Farewell, Tall Oaks Village Center as a retail spot. Welcome, Tall Oaks Village Center as a mostly residential neighborhood. 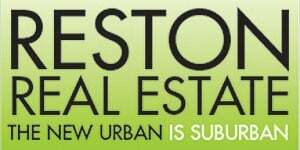 The Fairfax County Board of Supervisors took an unprecedented step for Reston development on Tuesday when it unanimously approved Jefferson Apartment Group’s (JAG) proposal to rezone, rebuild and transform the smallest of Reston’s village centers. 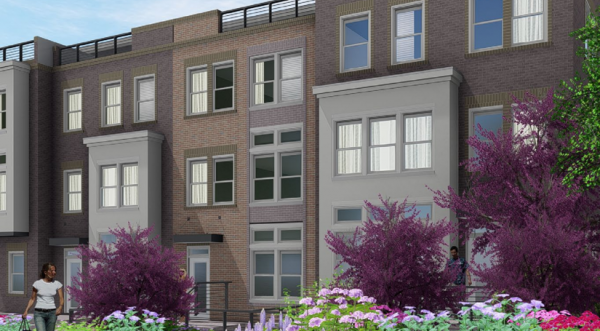 JAG will now go forward with plans for 156 homes (a mix of townhomes, 2-over-2 townhomes and multifamily buildings), community space, 8,500 square foot of retail and about 6,000 square feet of office space. Butz said he estimated the retail site plans and permitting will be processed in the next nine months. Because the retail space will be located in existing free- standing buildings on the property, that will enable a smooth transition for current retail tenants who desire to stay at Tall Oaks. The residential permitting process will take about 12-14 months, Butz said. Construction would begin sometime after that. Tall Oaks’ longtime challenges have been a location on a dead end and lack of visibility from a main street. Its longtime anchor tenant, Giant Foods, moved out in 2007 and vacancies have been mounting since. JAG representatives have said the property was marketed to retailers in the last several years but there was little interest in locating there as more than five major retail centers featuring a grocery anchor are located within a few miles. More recently, the developer conducted a market study that showed large retail was not viable at Tall Oaks, which is now only 13 percent occupied. JAG paid $14 million for the property in 2014 and has held numerous meetings with the community since then. After noting community concerns, JAG has added green space and additional retail space to its original plan. But many in the community were still not in favor of a complete overhaul for Tall Oaks. Some residents still maintain that retail would thrive at the center if it were properly managed. At the supervisors’ public hearing Tuesday, three residents commented that the new development should not go forward without accompanying infrastructure; that mature trees should be planted along North Shore Road; and that the development was still too crowded and the outdoor space too small. “While I acknowledge that some of the residents are not happy with the end product, I believe once the area is fully built out with the new residential community and amenities, they will grow to appreciate the new development” Hudgins said.